Visit the most adorable animals in the zoo any time of the day or night! 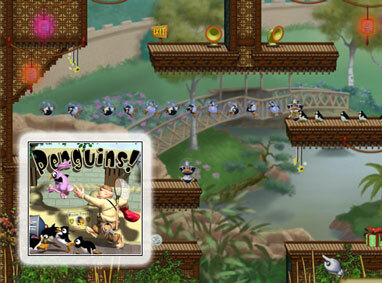 Join 'Ace' the penguin, on his escape through 80+ levels of penguin-puzzle fun! Ace and fellow penguin friends need your help to elude zoo keepers by using their 'cool' gadgets to continue through 8 different zoo zones! 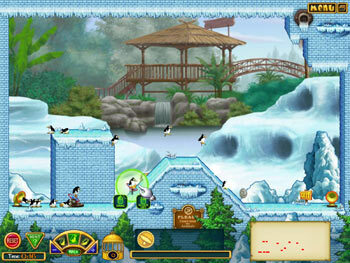 Visit the gift shop to buy your penguins new outfits or pick up a hot new soundtrack and thaw that frigid air! Track your progress with zoo maps and play on into any season of the year. You can even download penguin soundtracks, wallpaper, and gorgeous story art. This kind of fun is all-year-round ... for everyone in the clan!